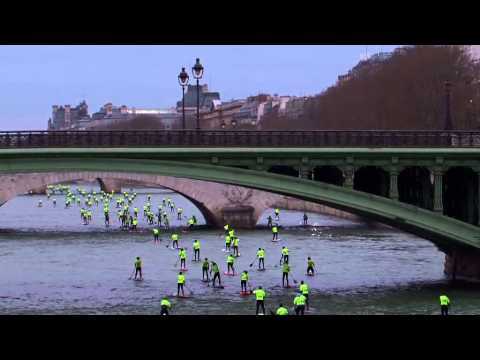 The annual Paris SUP Crossing is a major European SUP event that attracts hundreds of paddlers to the river Seine the waterway that flows through the heart of the French capital, for a chilly, but amazing weekend of racing. This year, no less than 300 paddlers took part in this challenge, that has become Europe’s largest SUP race, which features the long distance race along the Seine (including one section that goes straight past the Eiffel Tower) on Saturday and knockout sprints in an indoor pool on Sunday (the whole event is part of the big Paris Boat Show). If you missed this event, you can take a look at the highlights in the related videos section below. Enjoy!